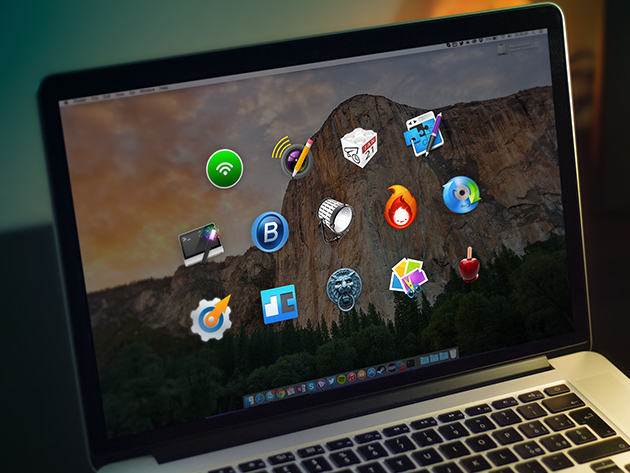 Stack Social's shown up with a new Mac bundle worth consideration. For $17.99 you get 14 Mac Applications. Several of them are apps I currently use or have used. Take a look at the list below. That's a lot of software for 18 bucks. Also, if you buy through the links in this post, I get some taco money. I love tacos. Ember – This is one is a gem and the reason this bundle caught my eye. I use Ember to organize photos and screenshots for MacSparky projects. Voila – This is another one I paid full price for. It helps you capture, record & then annotate screenshots and is a great companion for Ember. Kinemac – I haven't used this one yet but am looking forward to trying it out. It lets you create 3D animations. RapidWeaver – This application lets you build and deploy websites from your Mac. WiFi Radar Pro – Collect & troubleshoot network issues. Candy Apple – Design creative masterpieces or edit & add effects w/ this pro vector drawing app. Deliver Express - Standard – Create hot folders, then auto-send to up to 50 locations. MacPilot – Turn hidden features on & off on your Mac to optimize your workflow. Concealer – Protect sensitive files w/ passwords & encryption options. SendLater – Schedule emails to send on a specific date or at a specific time. Commander – Seamlessly interact w/ your files in a two-pane file manager interface. MacBooster 3 – Maintain & optimize your Mac w/ performance enhancing tools & malware removal. Levavo Blu-ray Ripper – watch Blu-rays on your computer, media players or other devices. Picture Collage Maker – turn your images into unique collages, card, scrapbooks & more.